Paper out, paper jam, and ribbon sensors for virtually fail-safe, unattended printing. 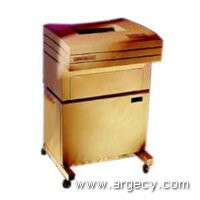 Long-life ribbon system, user-replaceable print modules, maintenance-free operation. Quietized cabinet models (4800i Series).